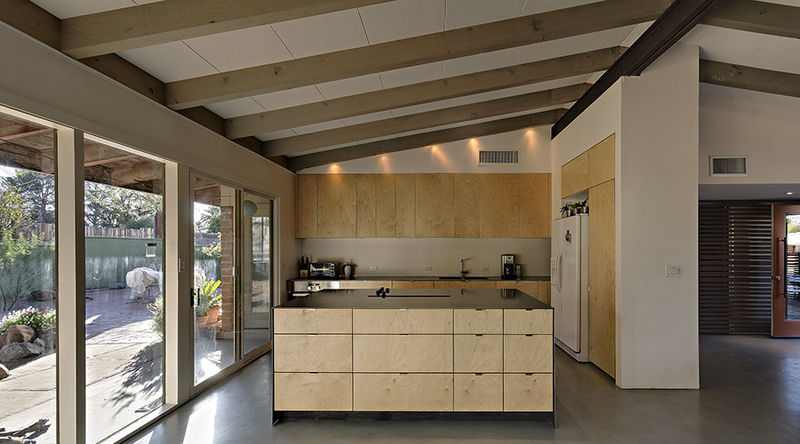 This 1960's adobe house in midtown Tucson suffered from small, disconnected spaces and a layer of ornamentation muting the underlying ease of the original structure. 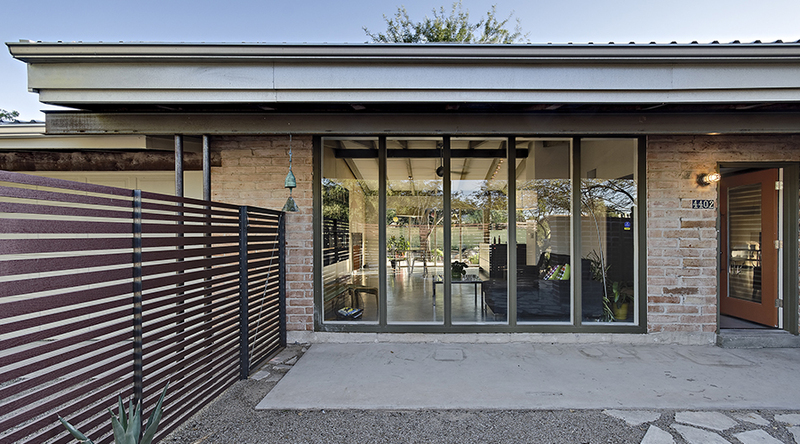 Renovating the house began by removing walls and stripping the spaces back to highlight the exposed beam ceiling, floor to ceiling windows and exposed adobe block. 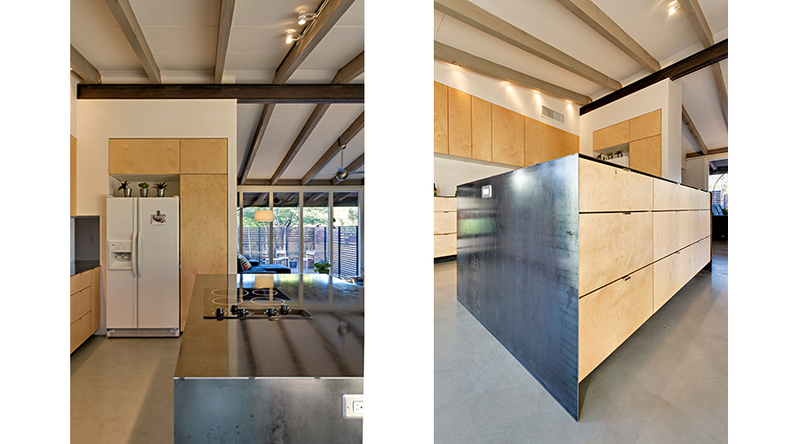 A simple palate of hot rolled steel and birch plywood were carefully inserted throughout. A custom wall-to-wall bookcase punctuates and unites the living spaces.